We are a team of reliable and trustworthy mechanics delivering superior car serving to clients throughout Brunswick and other suburbs across Melbourne. Thanks to our top-quality car repairs and car service. We also hold the license to issue roadworthy certificate for your car in Brunswick. 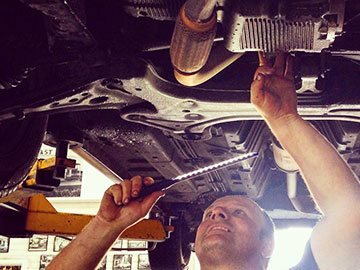 As a reputed mechanic, we understand the responsibility we have to impart our services with a high level of efficiency and effectiveness and our clients in Brunswick will never see us compromise on the quality of service execution. We understand that executing accurate car repairs is important for ensuring your safety as you drive down Melbourne roads in your car. Our team can repair and maintain BMWs, Mercedes, Audi, and countless other vehicles. Our knowledgeable mechanics have helped countless Brunswick clients get the most out of their cars when travelling both short and long distances. At All Types Automotive our goal is to keep all types of vehicles running safely on Victorian roads. Thanks to our innovative and detailed approach we can deliver lasting and extensive car repairs throughout Brunswick. Our team utilise cutting-edge analytical equipment to ensure that the cause of the issue is located and can be promptly repaired or replaced. For the team at All Types Automotive nothing gives us more pleasure than delivering the highest level of satisfactory care to our clients. Whether you have a BMW, a Volkswagen, or other vehicle our servicing solutions are available from Brunswick, to Broadmeadows, and other Melbourne suburbs. If you want more details on your car’s requirements to get a roadworthy certificate or concerning any of our other services including mechanical and car repairs services, just give us a call on 03 9469 2933. Give your vehicle the highest standard of care and attention by booking it in for repairs at All Types Automotive. From our modern workshop we have all the right tools and equipment to completely repair and maintain all makes and models of vehicles with precision and without wasting your time or money. Possessing extensive training and experience it’s no wonder we have become the specialist BMW mechanic Brunswick motorist trust to ensure their car operates without fault. By conducting in-depth inspections of all your BMW’s integral components and parts we can diagnose the cause of a loss of performance or handling, while also repairing it with premium replacement parts to give you peace of mind every time you drive. As automotive experts, the mechanics at All Types Automotive have a deep understanding of the craftmanship that goes into manufacturing European vehicles. Working to the manufacturer’s specifications our BMW mechanics can give Brunswick residents a hassle-free and comfortable driving experience. Keep your prestige European vehicle operating without fault by booking in for a service at All Types Automotive. Since opening our workshop’s doors many years ago, we have gained a solid reputation for improving the life, handling, and performance of every vehicle that drives in. Combining passion with years of training and hands-on experience we take no chances when working on our customer’s cars. Having undergone extensive training in repairing, maintaining, and servicing European prestige vehicles Melbourne motorists can trust us to complete a detailed and stress-free BMW service. Brunswick locals and beyond will breathe easier knowing that our skilled and highly-trained hands are working on their vehicle. With keen eyes and accurate analytical equipment, we can test, identify, and treat any issues that emerge during the service. Thanks to our tailored BMW service Brunswick roads will be safer for motorists and pedestrians alike. Extend the life and quality of your valued vehicle by bringing it in to All Types Automotive for a methodical and high-quality service. As skilled and experienced automotive professionals we know the importance of having your vehicle routinely serviced. Through a regular Volkswagen service Brunswick, Broadmeadows, Preston, Coburg, or Thornbury residents can drive with increased confidence knowing that their car’s integral components are operating to specification and safely. At All Types Automotive your safety is our priority. By expertly using the latest in diagnostic tools and equipment we can accurately identify any issues or faults before they have a chance to spread throughout the vehicle and compromise handling or performance. Thanks to this approach it is no wonder that our mechanics can deliver a highly-renowned Volkswagen service. Brunswick Polo, Golf, or Beetle owners can bring their car to us for attentive care to ensure that it enjoys a long life on Melbourne’s roads. To book your Beetle in with the team you can trust call us today on 03 9469 2933.